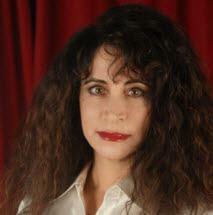 Ms. Breslauer holds advanced degrees from the University of California, Yale, and Chapman University School of Law. She has taught at Yale, UCLA, UCSD and elsewhere. A former journalist, her writings have appeared in the Los Angeles Times, the New York Times, the Washington Post, Vanity Fair, The New Republic and many other periodicals. Her articles on legal and governmental issues have been cited in amicus briefs before the United States Supreme Court and in the United States Congressional Record.